This article is part of our special report Building the way out of the crisis. The European Union put down the last piece of the bloc's 2020 climate and energy policy puzzle by adopting an Energy Efficiency Directive. The directive is a game-changer for energy companies, which are now required to achieve 1.5% energy savings every year among their final clients. The EU law is also expected to trigger the largest revamp of Europe's existing building stock to date and set new standards for public procurement and energy audits. The Energy Efficiency Directive, agreed in October 2012, came as a belated followup to the EU's climate and energy package of legislation, which included legally-binding targets on renewables and CO2 emissions reduction for 2020. The package, finalised in 2008, also included an objective to reduce energy consumption by 20% by the same date. But, unlike the first two, the efficiency target was not translated into binding legislation, leading to slippage in meeting the objective. The Energy Efficiency Directive aims to bridge this gap. It does not introduce binding targets at national level, but "binding measures" such as an obligation to renovate public buildings and other initiatives. Energy companies are requested to reduce energy sales by 1.5% every year among their customers. This can be achieved via improved heating systems, fitting double-glazed windows or insulating roofs. The public sector is required to renovate 3% of buildings "owned and occupied" by the central government in each country. Buildings need to have a useful area larger than 500 m2 in order to be covered by this requirement (lowered to 250 m2 as of July 2015). EU countries are requested to draw up a roadmap to make the entire buildings sector more energy efficient by 2050 (commercial, public and private households included). Energy audits and management plans are required for large companies, with cost-benefit analyses for the deployment of combined heat and power generation (CHP) and public procurement. Each country has to present national indicative targets by April 2013. If the European Commission estimates that those are insufficient to meet the EU's overall 2020 goal, then it can request member states to re-assess their plans. In the first semester of 2014, the Commission will review the progress towards the 20% energy-efficiency target, report on it and assess whether further measures are needed. If Europe is off track, the Commission said it intends to come back with a proposal for further legislation. The Energy Efficiency Directive is seen as the EU’s main tool to decouple energy use from economic growth. But faced with a severe economic downturn, member states have rejected binding targets, despite European Commission warnings over the lack of effectiveness of voluntary agreements. Spain, which won EU approval for a bailout of its ailing banking sector, claims implementing the legislation will be too costly for its already tight austerity budget, according to Danish Social-Democrat MEP Britta Thomsen. Indeed, the Danish presidency in the first half of 2012 estimated that implementing the directive would cost €24 billion a year until 2020. However, it would also save the economy €44 billion in fuel expenditure and investments in energy generation and distribution. The European Commission has estimated that the directive will increase the EU's GDP by €34 billion in 2020, and create 400,000 jobs. But many civil servants are happy with their existing energy system and do not want to change it through the back door, according to an official close to the negotiations on the Energy Efficiency Directive. Their reluctance is strong despite the fact that member states' energy import costs soared to over €400 billion in 2011 alone. Philip Lowe, the European Commission’s director general for energy efficiency, warned this shortfall in energy savings will also mean the continuation of avoidable capital outflow from the EU economy via energy imports. During the negotiation on the directive, member states resisted legally-binding objectives but agreed on an indicative goal of 20% energy savings and to binding "measures" to achieve it. These measures (see summary) are expected to result in a reduced 15% total energy savings by 2020, well short of the 20% goal that member states had agreed on in principle. To make up for the shortfall, the 15% will be complemented by fuel-efficiency regulations for automobiles and new standards for consumer and household products such as heating boilers, which will be added to the Ecodesign Directive. In April 2013, member states are expected to present their national efficiency programmes and calculate what target they are to achieve. The European Commission will then evaluate them. If the Commission analysis of the national plans shows that the EU is not on track to meet the 20% energy savings target, it must add more binding measures to the directive in order to fill the gap. If member states do not apply the additional measures and are still not on track to meet the target, Commission will then propose binding targets. The savings will be calculated as of 2014 and there will be a review of the directive in 2016. This is the first key "measure" approved as part of the directive. Under the Commission's initial proposal, energy companies were requested to reduce their energy sales to industrial and household clients by at least 1.5% each year. This would have resulted in a net annual decrease in energy sales by big utilities such as Germany's RWE or France's EDF. Emissions trading scheme: 40% of the efforts that industries already make under the EU Emissions Trading System for carbon dioxide (EU-ETS) will now be accounted for in the yearly obligation. Early action: Member states will be able to include “early action" taken by energy companies. Future action: Countries will be able to count not only current, "real" savings, but also “future actions” taken by energy companies in their national energy savings schemes. Savings at source: Countries will also be able to count energy savings made at the source, in the energy transformation sector, before it is distributed to clients. This will account towards a further quarter of the 1.5% obligation. “All these measures can replace a quarter of the 1.5% energy savings obligation. That means that the level of the target has been reduced to 1.1%,” said Brooke Riley, a campaigner at Friends of the Earth. Moreover, it was agreed that all the different measures in the directive will be gradually phased in, allowing more time for EU member states and industries to prepare. This is the second key "measure" in the directive. Public buildings – including those at regional and local levels – represent only 12% of the EU's building stock but the European Commission believes governments should set the example for private owners. The EU executive proposed a 3% renovation rate that would target public buildings with a total useful floor area of over 250 square metres, an objective which activists already criticised for being too weak. But member states later restricted this requirement to include only "central government-owned" and "occupied" buildings, "with a useful floor area of over 500 m2". As of 9 July 2015, this would need to be lowered down to 250 m2. The rewording resulted in significant reductions in scope for many countries. Whilst in Sweden, France and the Netherlands many buildings are owned by the central government, this is not the case in Germany, where regional authorities own most public buildings. As a result, Germany will have to refurbish only around 37 public buildings. Similarly, in the UK, many buildings owned by the central government are historic and would be exempt from this requirement. This is the third of the "measures" that was agreed on during the last leg of the negotiations by the European Parliament. The key "measure" here is an obligation on each EU country to draw up a roadmap to make the entire buildings sector more energy efficient by 2050 (commercial, public and private households included). EURACTIV understands this measure has been agreed in exchange for watering down a proposed 3% renovation rate for public buildings, which will now only address “central government-owned and occupied buildings”. Other "detailed measures" that were added at the last minute include "binding financial instruments" for energy efficiency and "better consumer information," such as the use of smart meters. The key question, however, is where to find the money. When it comes down to the economics, it seems difficult at first to see how energy savings can be financed, given that cash-strapped governments have to make painful cuts to their budgets. The European Commission initially estimated that the directive would trigger an increase in the EU's gross domestic product of €34 billion by 2020, creating almost half a million "green" jobs along the way and reducing fuel expenditure by €38 billion annually. Economists agree that energy efficiency investments provide financial returns in the medium to long-term, but households and businesses first need the cash to make the investment. A study on the effectiveness of energy efficiency investments made by Germany's KFW banking group showed that every €1 that went into energy-efficient construction and refurbishment in 2010 returned €4 to €5 in revenue. This was calculated as a return of investment in society and counts the creation of jobs and the social benefits to the total payback. "Without the necessary financing mechanisms the measures proposed in this directive will be wishful thinking and will not create numerous jobs and trigger innovation,” said Claude Turmes of Luxembourg, the Parliament negotiator on the directive. One direct consequence of the directive is that consumers’ bills will likely have to rise in order to cover the initial upfront costs of housing insulation and more efficient energy systems. On the other hand, pressure on household bills will be lowered by the obligation on energy companies to deliver annual 1.5% energy savings for their customers. The most important direct source of public funding is expected to come from the EU's budget for the 2014-2020 period, which will see around €20 billion dedicated to 'green' projects and energy efficiency in buildings. The investments needed for member states to reach their targets would require twice as much money, however, at around €40 billion to €50 billion, according to estimates. Long before its adoption, the directive was held back by the "vested interests" of large energy utilities with close ties to member states. But the resistance grew bigger as the negotiations went on. The obligation imposed on energy retailers to cut sales to their clients appeared as a major obstacle during the negotiation. This would have implied a radical change to their business model by forcing energy utilities to seek profit from energy services rather than energy sales. “The concern is that energy companies will end up paying for everything ,” said Nicola Rega of the energy companies consortium Eurelectric, adding that that there is no guarantee that power utilities will be able to recuperate the cost through higher consumer bills. In the end, this obligation came with the possibility of an opt-out, allowing energy companies to choose how they want to achieve their savings. Advocates say this is a missed opportunity as governments can help sweep those worries away. In Denmark, for example, electricity utilities received money from the national budget to make the initial investments needed to create a new market for energy efficiency. There was also resistance to the implied increase in energy costs, especially from the side of the energy-intensive industry, such as chemical manufacturers. Energy utilities criticise the EU for failing to provide a driver for stimulating consumers’ appetite for energy efficiency improvements and create the demand necessary for an energy services market to take off. Some companies have already developed new products. Rather than selling new units of energy, they get involved in selling energy-efficient heating systems. But this was not convincing enough. “We often knock the doors and the doors to not open when we have to sell energy efficiency services. Ultimately, the customers need to want to take up the measures. There is a big learning process ahead of us,” said Rega of Eurelectric. Lack of information amongst consumers is a big obstacle to promoting energy efficiency services. Germanys' EWE, for example, offers customers new boilers if their old one breaks and pays for the full installation cost. It also sells heating to customers on a long-term contract and offers to instal heat pumps, which reduce heating bills year-on-year. Another example is the energy retailer Centrica in the United Kingdom, which estimates that its energy services business will be bigger than its energy supply business in the future. The company has invested in smaller firms selling meters, heat pumps and solar equipment, offering their customers a wider range of services. “Now they make a bigger profit margin on energy services than they do on energy supply,” said Jon Slowe, energy expert for the think tank Delta Institute for Energy. Energy savings advocates have warned about the risk that member states will fail to implement the directive at national level. Many countries, they claim, will be tempted to recycle existing national energy efficiency programmes and place them under the directive's umbrella, without really taking new initiatives. For example, Britain is likely to integrate the refurbishment of buildings under its planned Green Deal Scheme, which will be fully rolled out in 2012. And Germany will likely choose an existing and widely popular energy refurbishment programme for homes instead of annual energy savings for energy providers. Similarly, France could opt to integrate EU building renovation obligations into its existing national programme. Ireland is looking into using energy performance contracting more effectively. And Sweden and Denmark will most likely integrate the new directive into their existing national action plans. “Countries are likely to use their schemes if they already have good ideas and solutions in place to save energy,” said Riley, of Friends of the Earth Europe, which has pressed for a more ambitious European energy-savings law. The Commission has set up a special six-person implementation team for the directive. The team is expected to quickly issue several interpretative notes to address the text's ambiguities. These notes will not be legally binding, which leaves countries free to follow their own interpretation of the law. Commission President José Manuel Barroso said from the beginning that all the EU's energy targets were realistic. "That's why I'm going to discuss with member states how we can now do things which reach the 20% target by 2020 on energy efficiency," he said, "because the potential for savings in energy in transport and households, buildings and industry are really there." When it comes to the industry, Brook Riley of Friends of the Earth Europe said there was also a psychological barrier: “They fear it hampers growth – isn’t that actually a fear of change? They are not asked to make improvements,” he said. “First of all, we should look long-term. That means we shouldn’t address these issues at all? Any sensible credit institution would be ready to give credit to investments that will pay off in three to five years,” said Anders Wijkman, former MEP and vice president of the Club of Rome think tank. “It usually pays out in the medium term,” he added, "plus, we are virtually running out of high-quality primary energy resources”. Peter Bach of the European Council for an Energy Efficient Economy said it is more expensive to wait. “What we do today shall be seen in the long-term perspective. We need deep renovations, not cream skimming,” he said about the 3% renovation of public buildings measures. “I think concerns about economic growth are the main barriers to introducing binding targets. I think we can have both economic growth and ambitious targets. Denmark will undoubtedly push for as strict measures as possible,” MEP Bendt Bendtsen (European People's Party, Denmark) told EURACTIV. MEP Vicky Ford, chief negotiator on the energy efficiency bill for the European Conservatives and Reformist Group, hoped the negotiations would not be delayed until March: “There is still much work to do in trialogue to ensure that Member States have the flexibility to ensure that the ambitions of the EED can be achieved by different countries with enough flexibility to meet their varying local and national considerations." In a letter titled “Industry critical with compromises on Energy Efficiency Directive”, industry group BusinessEurope said the European industry, which “has improved its own energy efficiency by 30%” over the last 20 years, “appreciates the political attention” given to this issue. Philippe de Buck, director-general of BusinessEurope, the European employers' lobby, said he was worried about the negative economic effects of some compromises such as the absolute energy consumption targets for industry: "The current compromise package does not match what industry expects from our legislators. We need a flexible not a bureaucratic directive, and above all one which does not confuse energy efficiency with prescriptions on cutting energy consumption". “New credit mechanisms need to be implemented. It can be either FIT or more investment-oriented ETS allowance,” Markus Becker of GE Energy said, speaking about the financing options for the directive. “At the end of the day, we will import less oil, so consumers’ bills will not necessarily go up”. He believes ETS does help in this situation, as it only plays a role in day-to-day operations and says that ETS allowances should be directed towards investments as well. A good way of funding the changes needed in order to save energy and stimulate growth at the same time is through feed-in-tarrif systems, similar to those used to subsidy the solar and wind energy projects, according to European energy companies consortium Eurelectric. "FIT could work, but who would pay? So far no one has put money on the table”. “Policy can easily deal with the financing issue” said Michael Brown, director of Delta Energy and Environment. "Energy efficiency is not a topic hot enough to debate with friends over dinner. It is not tangible and does not have a material form, like renewable energy. It is more interesting to show people your new solar panels than your energy-efficient washing machine, it is also a question of image," said Nicola Rega, advisor for Eurelectric. Fatih Birol, the chief economist of the International Energy Agency, has warned EU countries about the "absurd" strategies they use to subsidise fossil fuels. In an exclusive interview with EURACTIV on 14 June 2012: “Not to push the energy efficiency measures is another way of asking for higher emissions, higher energy import bills and higher energy insecurity," Birol said. Connie Hedegaard, the EU's Climate Action commissioner, said it was “about time” a deal had been reached. “They have spoken about it for a really, really long time, and had some very fine targets. But there have been differences as to which tools should be used to get there,” she said. “The Council substantially watered down text from the Commission and especially the Parliament. This deal reflects neither the ambition nor the urgency needed to put the EU on the right path towards 2020,” said Arianna Vitali, policy officer for Energy Conservation at the WWF European Policy Office. British MEP Fiona Hall, who took part in the negotiations with EU member states on behalf of the Liberals and Democrats (ALDE), said, after the deal was sealed: "Although the text in Article 6 on the energy efficiency obligation schemes is not as strong as the Parliament wanted, it is an important achievement that for the first time ever Member States will have to have a long term strategy with policy and measures in place for dealing with the energy efficiency of their buildings". "Thanks to the changes insisted upon by the Parliament, the directive will now achieve 17% of the 20% energy efficiency savings needed by 2020 – as compared to less than 15% before last night," Hall said. "In addition, the Parliament secured an early review of the deal in 2016 including of the exemptions that currently weaken Article 6," she added. ?Erica Hope, of Climate Action Network Europe, said the 2016 review is part of the compromise package.The timing is strategic and has pleased activists, because the commission would have to review it at the same time when it would have to conclude whether measures taken have put the EU on track to meet the 20% energy savings targets. But the 3% energy savings that member states have given up show that they have not realised the benefits energy efficiency brings, Hope added. "Every percentage point missed the change to achieve more GHG reductions, have less energy imports from abroad and save tens of millions of euros every year." Each idea of the initial energy efficiency proposal left the final round of negotiations only as a small fraction of what they were meant to be, according to Hope. The energy savings obligation scheme imposed on energy retailers “is not a strong enough push towards that as it should have been”. And by choosing not to renovate all public buildings, member states are not setting the example they wanted to set at all. “Only people happening to go by the central government buildings every day will see this change,” Hope added. Danish MEP Britta Thomsen, the chief negotiator on the directive for the Socialists and Democrats (S&D) in the European Parliament, said: "We wanted to go much further, but we accept this compromise as the only real scenario to improve energy efficiency in the near future. Regrettably, some key demands are now voluntary instead of mandatory. It will depend on member states' will. The 3% annual renovation target is limited to central government buildings [estimated to be 10% of all public buildings], instead of all public buildings." "The Commission must guarantee that the 20% target is reached by 2020. If the Commission assessment of national strategies due in 2014 shows that the EU as a whole is not on target to reach the 20% objective, then it should propose binding targets," S&D Vice President Marita Ulvskog said. “It is regrettable that the financial crisis weakened the political will for a strong directive - when in fact investments in energy efficiency could give a major boost to European economies” said Stefan Scheuer, secretary-general of the Coalition for Energy Savings. "The requirement for member states to set up national roadmaps by 2014 for the deep renovation of the existing building stock, both public and private, is at least a starting point," Martin Engelmann, advocacy director at PlasticsEurope said. He calls on member states to develop now stepwise plans with clear intermediate targets and on the Commission to monitor them closely. John Harris, vice president of energy management solutions company Landis+Gyr, expressed his disappointment with the smart metering and consumer information provisions in the directive. “You have to give credit to the Commission and Parliament’s negotiators; they came away with a better Directive than the Council was willing to offer just last week. But will it ensure that the smart metering systems installed in the future contribute to energy efficiency?" ?Speaking on behalf of the European Alliance to Save Energy (EU-ASE), a grouping of business leaders, politicians and campaigners, President Monica Frassoni said: “The Danish [EU] presidency and the European Parliament have worked hard to reach a compromise with the Council over the last weeks as some EU member states made several last minute attempts to water-down or block the directive’s flagship measures whilst some others played a more positive role." She added: "This isn't a time to rest on our laurels; the European Commission and EU member states have a very important task ahead not only to ensure that this important law is enforced properly." British Conservative MEP Vicky Ford, in charge of negotiating the directive on behalf of the European Conservatives and Reformists group, said that the deal represents a fair compromise. "Soaring energy bills are a huge problem for many households. Insulation and other energy saving measures can be a great help. However, it is important that each country can come up with their own tailored schemes to help households and businesses." "This is a big step ahead: for the very first time we have legally binding energy efficiency measures," Energy Commissioner Günther Oettinger said. "Europe is now much better placed to achieve its 20% energy efficiency target for 2020". "The measures will reduce our energy bill while generating further growth and jobs. They stimulate investments and make our energy using products more efficient," he added. Adrian Joyce, secretary-general of EuroAce, said the directive should enable member states to seize the huge potential of savings offered by their existing building stock. "If member states get this right, they have the opportunity to cut the energy demand of the EU existing building stock by 80% by 2050, freeing up large amounts of energy and, in turn, money." "The 3% public building refurbishment rate is an opportunity to stimulate the local economy in times of crisis. We are aware of the constraints and opportunities of such a measure, but if the European Commission and Member States are serious about their words on a new (green) economy, they will have to set up favourable (financial) frameworks that make these targets feasible," said Gérard Magnin, executive director of Energy Cities. “A broader and more technology-neutral approach would have made it easier for Member States to reach more ambitious targets in a way that is appropriate to their particular national and geographical circumstances”, said Thomas Nowak, secretary-general of EHPA (European Heat Pump Association). 8 March 2011: European Commission puts forward a new Energy Efficiency Action Plan (EEAP), setting out measures to achieve further savings in energy supply and use. 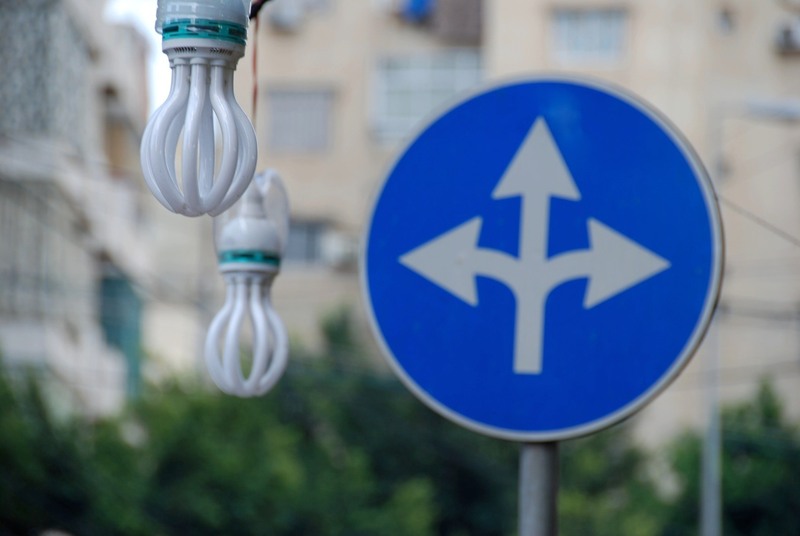 22 June 2011: Commission tables draft Energy Efficiency Directive. 14 Feb. 2012: Energy Council debates draft Energy Efficiency Directive for the first time. 13 June 2012: Negotiators from the European Parliament, Commission and Council strike deal on the Energy Efficiency Directive. 11 Sept. 2012: Deal voted on in Parliament plenary. 4 Oct. 2012: EU Council of Ministers vote on agreement. 30 April 2013 (and every 30 April thereafter until 2020): Member states present the European Commission with reports on their progress towards meeting national energy efficiency targets. 2014, 2016: European Commission to review the Directive. Energy Cities: The time for postponing urgent decisions is over! Before the EU talks about energy/Co2, better find out that malta has only one power station.If any disaster of any sort, all of the island will be dead, we cannot even use the line phone,or our mobiles, just the island will end like a cemitery. We are not prepared for any thing, but the EU prefers to give high marks to us…..only Mr Dalli has to suffer, as if Mr Barroso does not lobby…we seen him on video with Cameron in time past. You all do the same, you sacked Dalli for no reason, it was a ”trap”,if the tobacco law was was passed, the EU would have lost all the VAT collected from it’s members.It was set up in my country after a meeting !!!! How does one qualify to become an Energy Auditor ? Is there a RECOGNISED certifying institution ? Perhaps the European Commission trains and certifies Energy Auditors to maintain uniformity throughout the EU and to provide equal opportunity to this type of work, ie prevent it from becoming a `closed shop` available only to the chosen few ? Neither the 1.5% saving anually nor 20@ total energy saving by 2020 is clear about the base year generation ( Is it aug,2012 ? )or how new annual capacity addition by EU countries/nations will be accounted forin future coming years. Further annoucement is required to ressolve the issue or EU national planning targets over the time horizon.